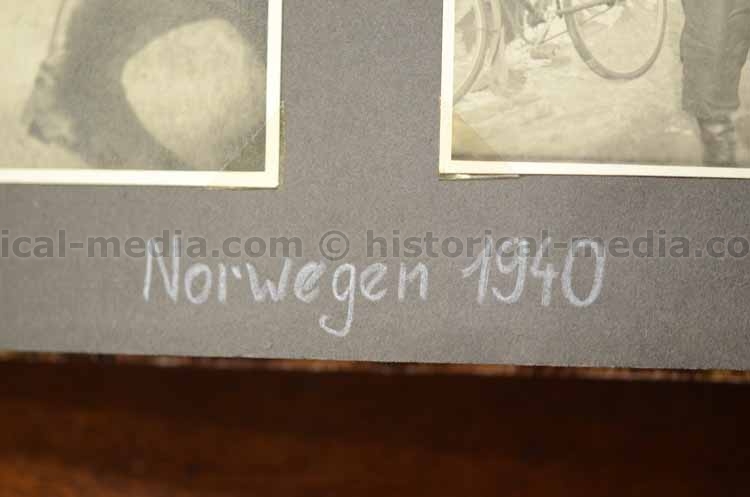 155. 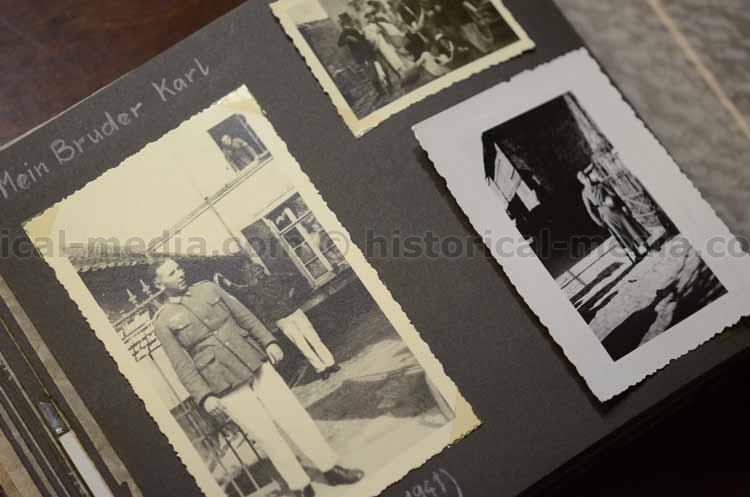 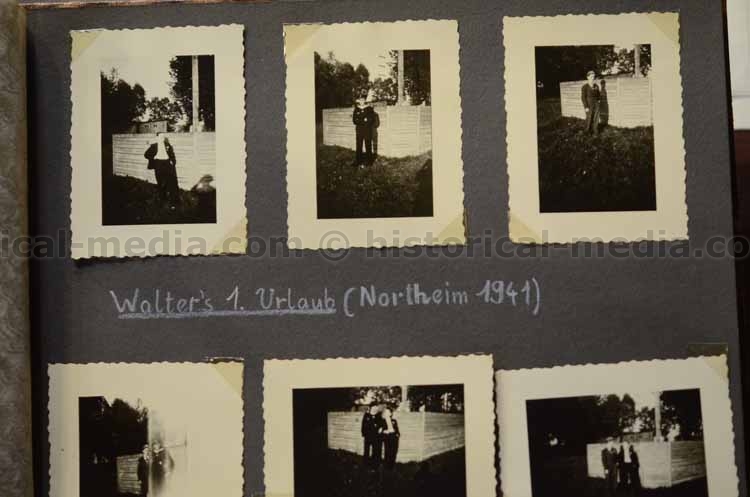 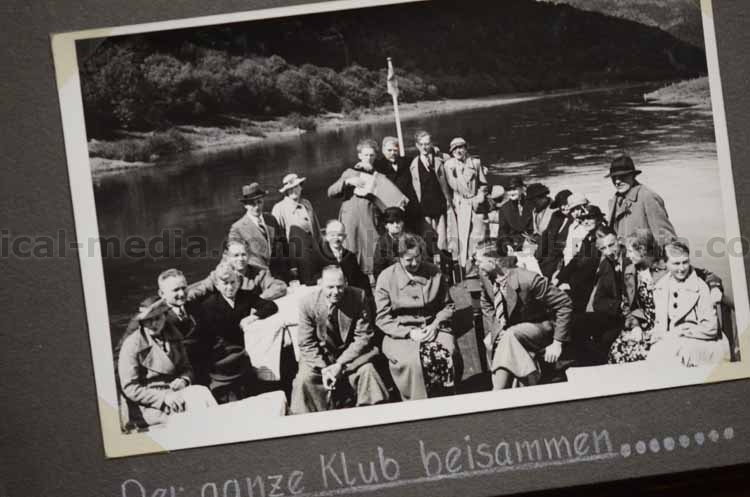 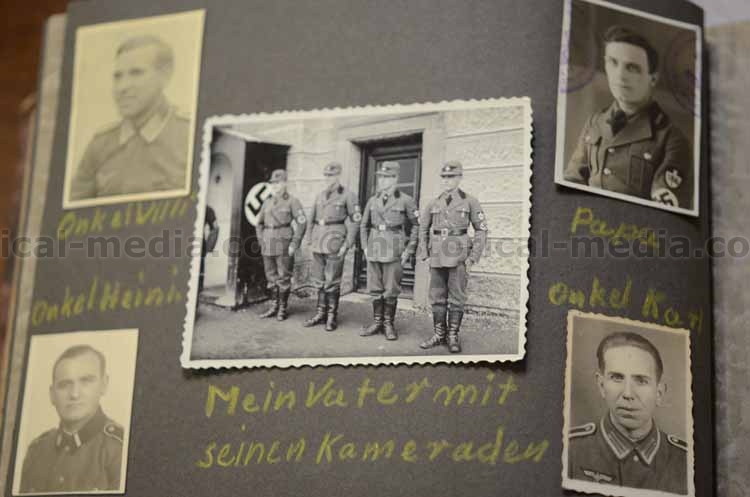 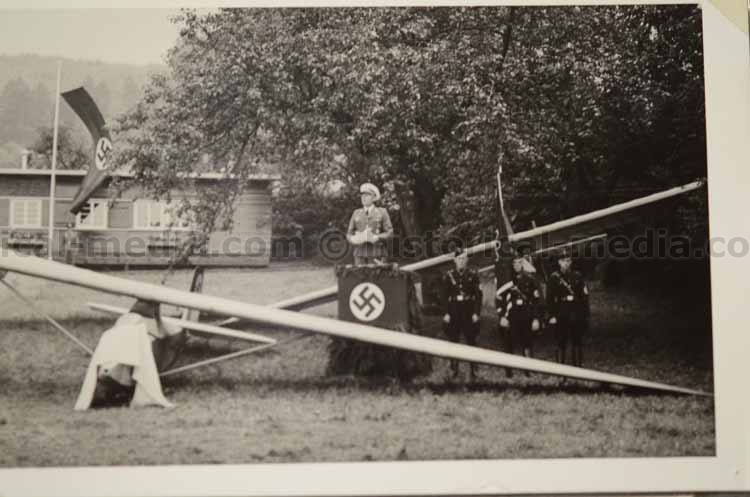 Third Reich Era Family Photo Album - KVK2 Award Document. 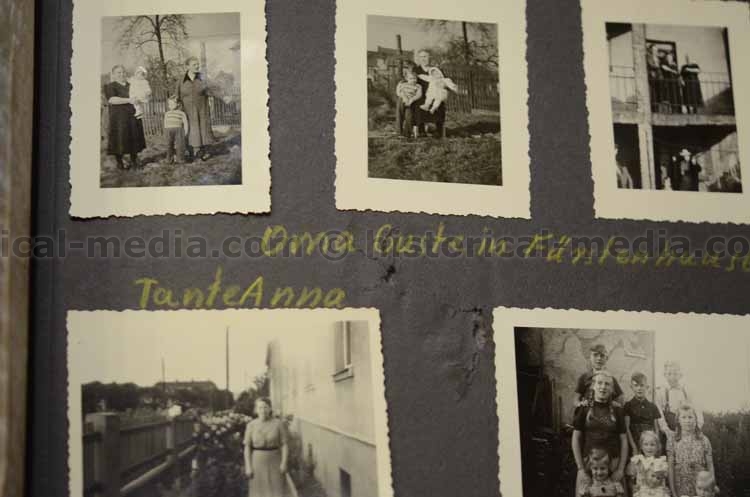 63 photos from one family. 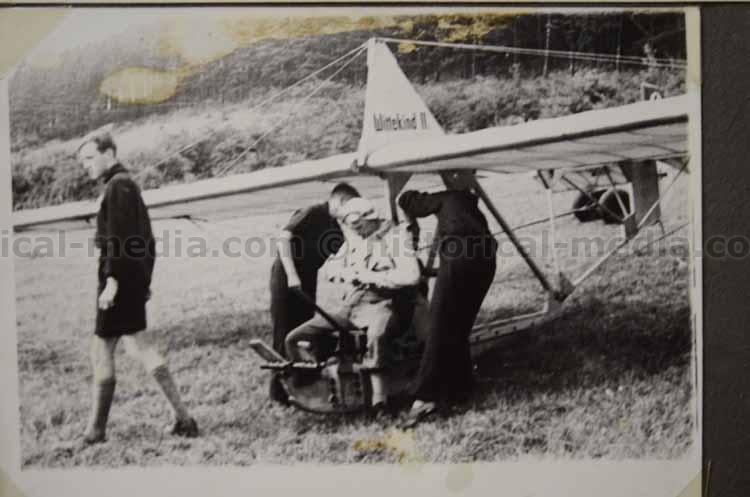 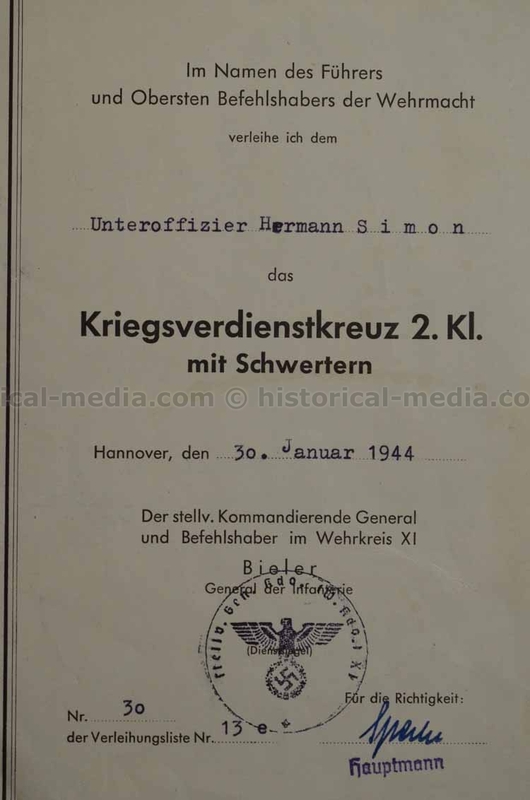 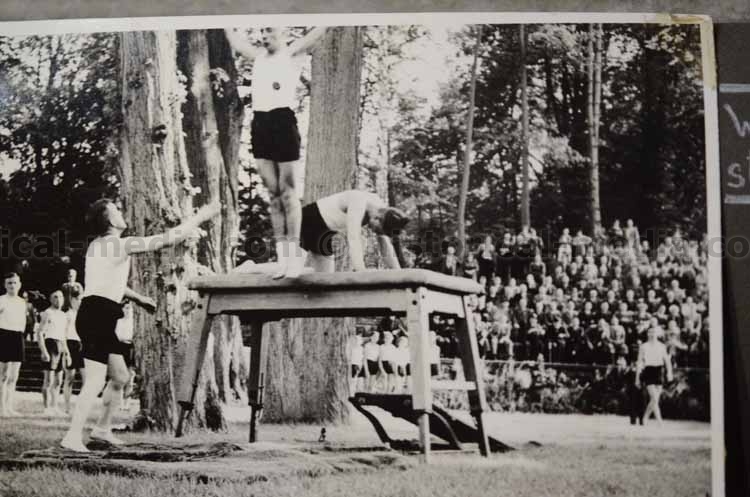 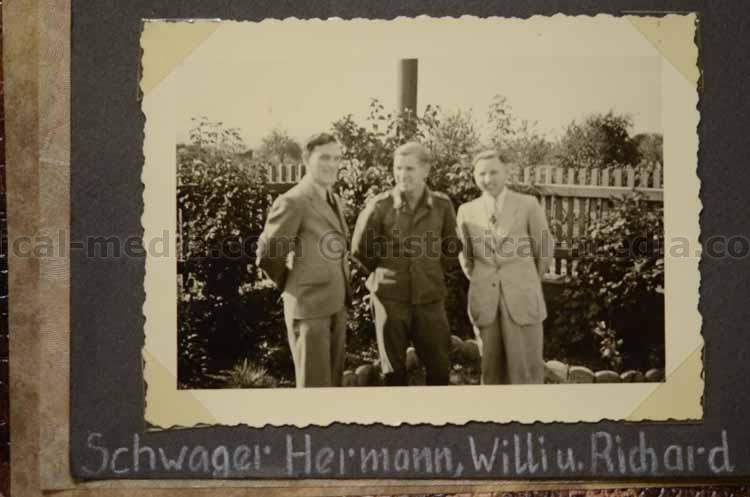 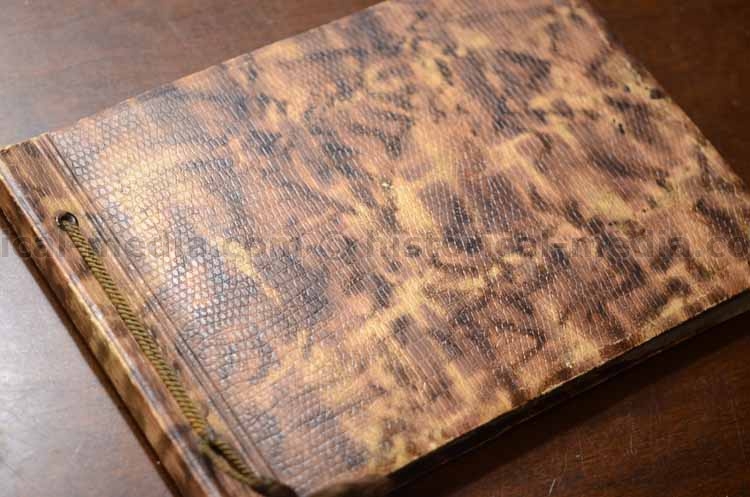 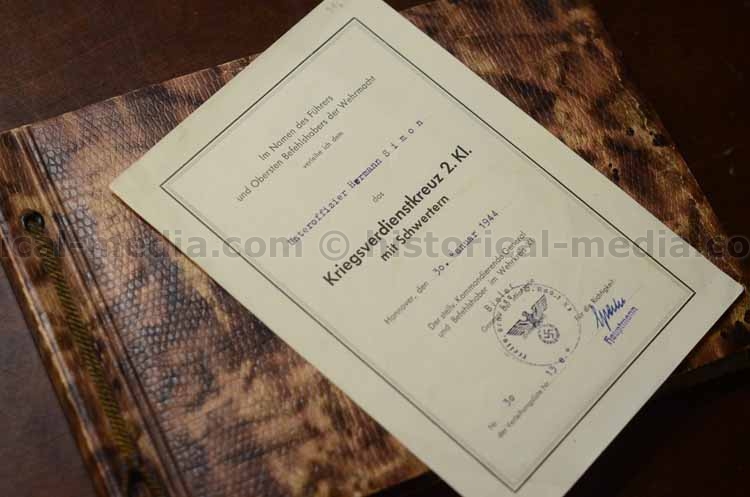 Comes with KVK2 award document to Uffz Hermann SIMON awarded Jan 1944, many captions, photos of the father in POW camp. 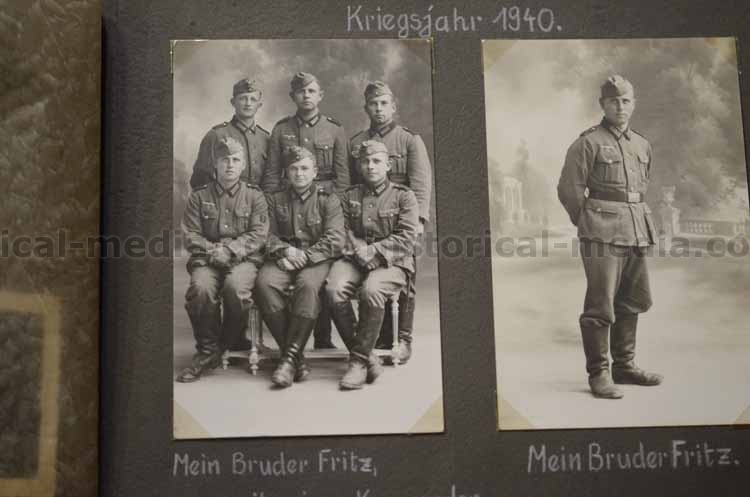 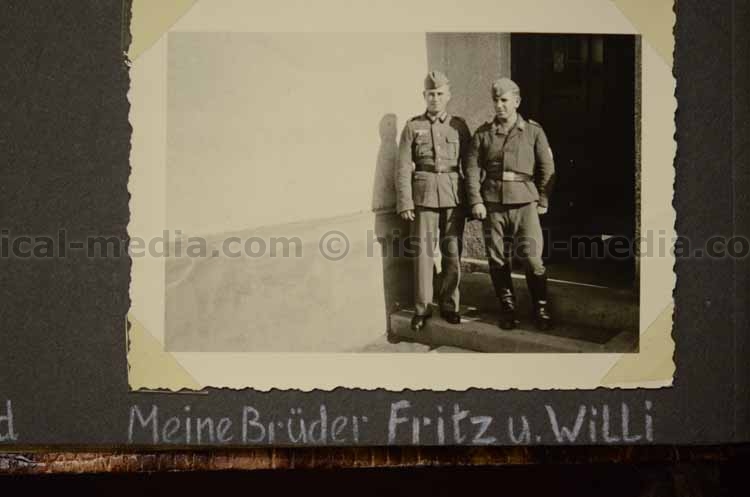 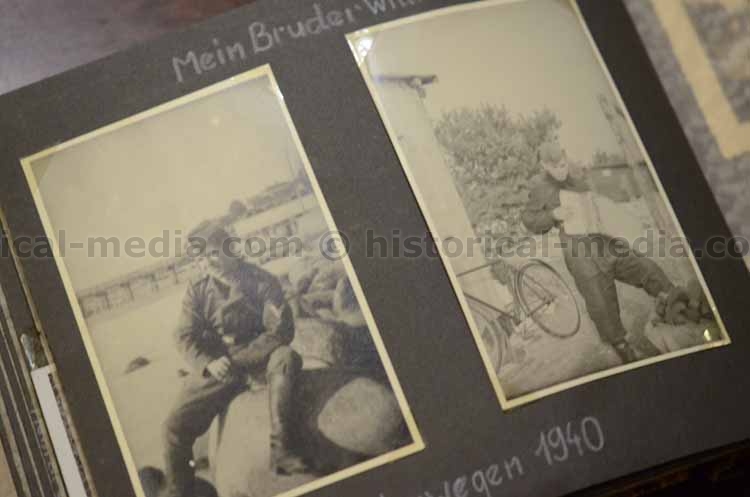 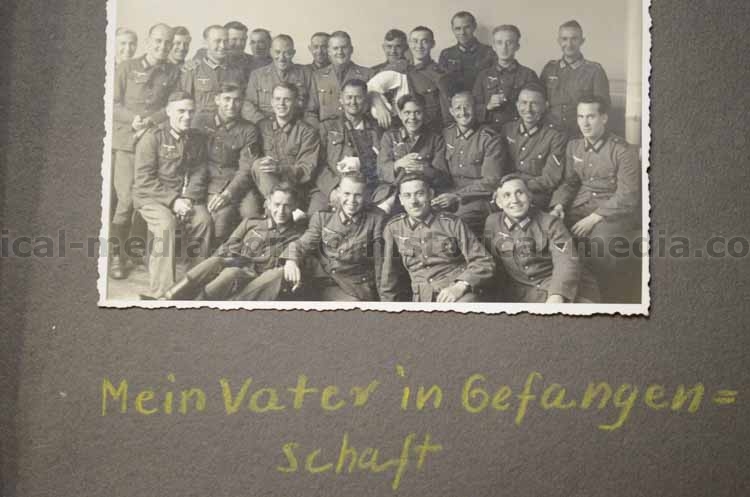 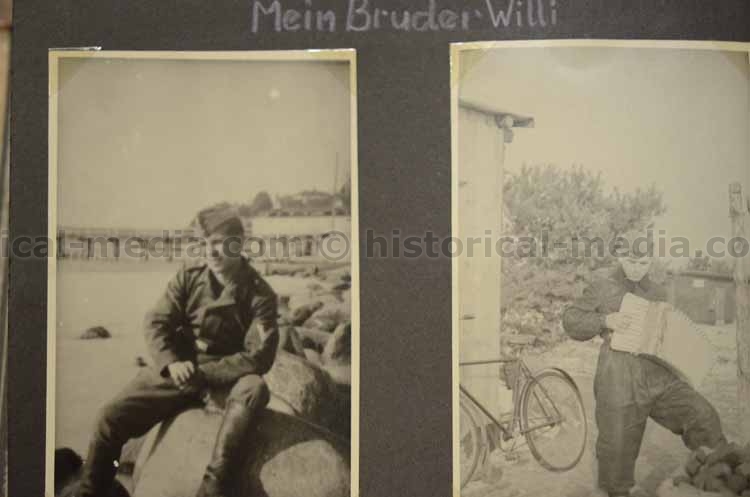 Very nice studio portraits, photos of one brother stationed in NORWAY, Kriegsmarine brother home on leave, one portrait of uncle in Waffen-SS uniform, more.